Indy’s best restaurants are on fire. The city’s high-end dining scene is dominated by top-drawer restaurateurs such as Martha Hoover and Jonathon Brooks, whose eateries are making their marks locally and nationally. 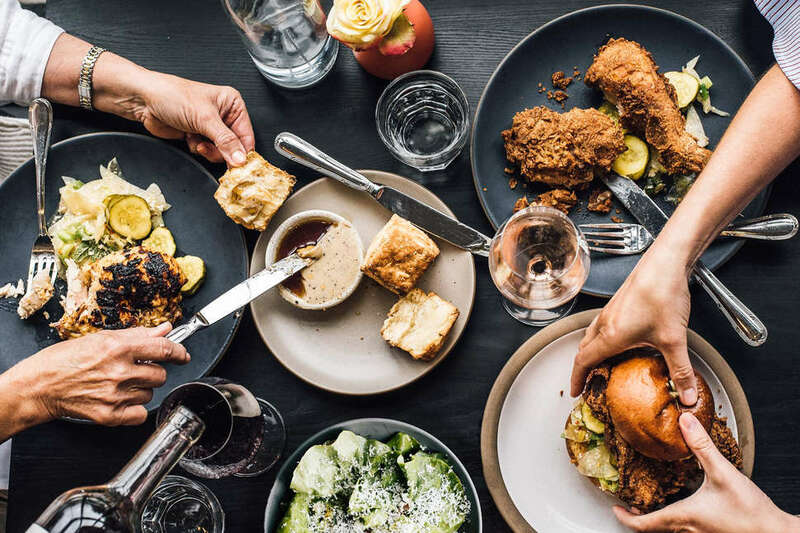 This year saw the city’s leading culinary lights stretching their skills by opening new restaurants and serving innovative cuisines: everything from nouveau sushi to fried chicken and soul food. Here are 2018's Indianapolis restaurants we can endorse without reservations. 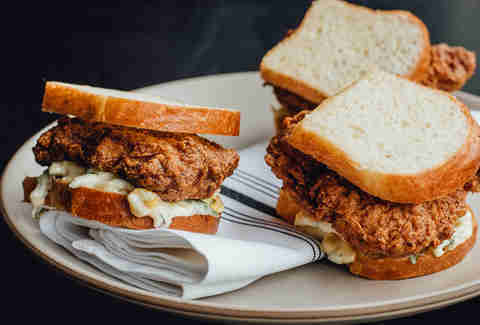 Restaurateur Martha Hoover, owner of such gustatory landmarks as Cafe Patachou and Bar One Fourteen, has burst into the world of fried chicken. Presided over by Martha’s son, David Hoover (also the mastermind behind Bar One Fourteen), this 56-seat eatery, complete with full bar, specializes in quirky iterations of southern classics, from greens to biscuits. 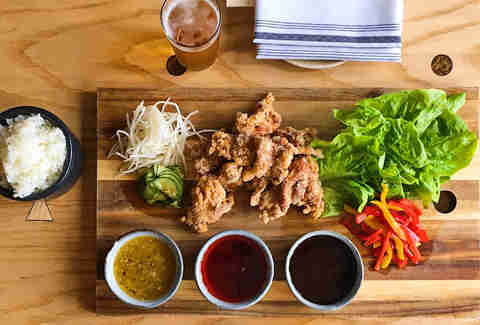 The centerpiece is the fried chicken, made with carefully brined pieces coated in thick, crunchy, spicy crust. Predictably, the sides will make you forget all about KFC. Be sure to sample the spicy chicken skins, served with yuzo kosho aioli dip. And a side order of mac & cheese cacio e pepe (a custardy mass of cheesy perfection served not in a bowl but in a dense slab) does the body good. If you’re not into poultry, try the Tuesday-only Crispy Bird Double Burger, a toasted brioche bun packing a patty made of brisket, sirloin, and short rib, and served with BBQ aioli, bread and butter pickles, shredded Napa cabbage, and shaved onion. Ukiyo looks pretty much like a standard-issue Japanese restaurant. But while the decor is conventional, the food isn’t. The eatery is the brainchild of local restaurant luminary Neal Brown, who masterminded such landmark establishments as L’Explorateur, Pizzology, and Libertine Liquor Bar. Most nights he holds court at the sushi bar, talking with customers while preparing one-of-a-kind “designer rolls” such as spicy salmon with nasturtium and crab oil. True raw fish aficionados throw restraint to the wind and opt for the $85 omakase multi-course tasting menu with wine and sake pairings. Basically, Brown just makes things and hands them to you until you get full. The menu changes constantly, so don’t blame us if you can’t find the hot chicken steamed buns, autumn fried rice (made with coffee-infused soy) or the bacon and cheese okonomiyaki when you visit. No matter what's on the menu, you’re in good hands. Owner Ed Rudisell’s local culinary empire includes Siam Square, Black Market, and Rook, but his latest offering is much dearer to his heart. 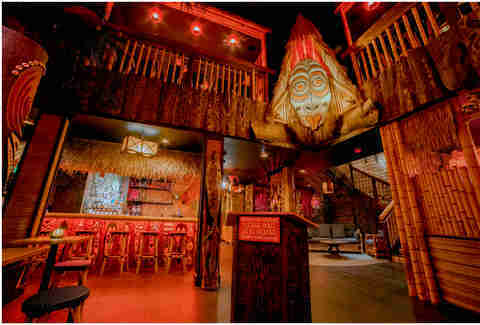 A dedicated fan of Tiki culture, he’s tricked out The Inferno Room in tons of mid-century South Seas kitsch. There are so many knicknacks sitting and hanging around that one wonders how they could ever dust the place. The menu is a fantasia of classic Tiki cuisine -- everything from sliders made with Filipino pork meatloaf to that old Chinese carryout standby, crab rangoon. Only this version is worth ordering, because it’s prepared by someone who actually gives a damn about properly executing crab rangoon. Of course the cocktails are on point, with classic renditions of the Mai Tai and Zombie. There are tons of others, most with whimsical names, exotic ingredients, and enough punch to stun an elephant. A place that pedals tube steaks usually isn’t “best restaurants” material, unless the person making them is Chris Eley, the mastermind behind renowned fine meats purveyor Goose the Market. There are two Ocas, one in the downtown tasting room of Sun King Brewery, and the other in Sun King’s Carmel location. The short menu includes treats such as smoked salmon dip and piccante meatballs, but save space for the dogs. 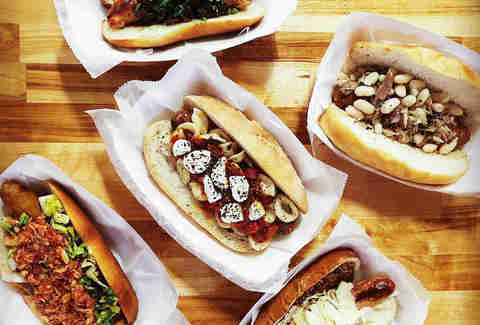 The best of show include the New Castle (smoked duck and jalapeno sausage, bacon, cream cheese, and hickory sauce) and the Octo (Berkshire pork and octopus sausage with rapini and pine nuts, fresh mozzarella, arrabbiata sauce, and orecchiette pasta salad on a hoagie bun). Since both Ocas are located in microbrewery tasting rooms, finding an appropriate beverage won’t be an issue. 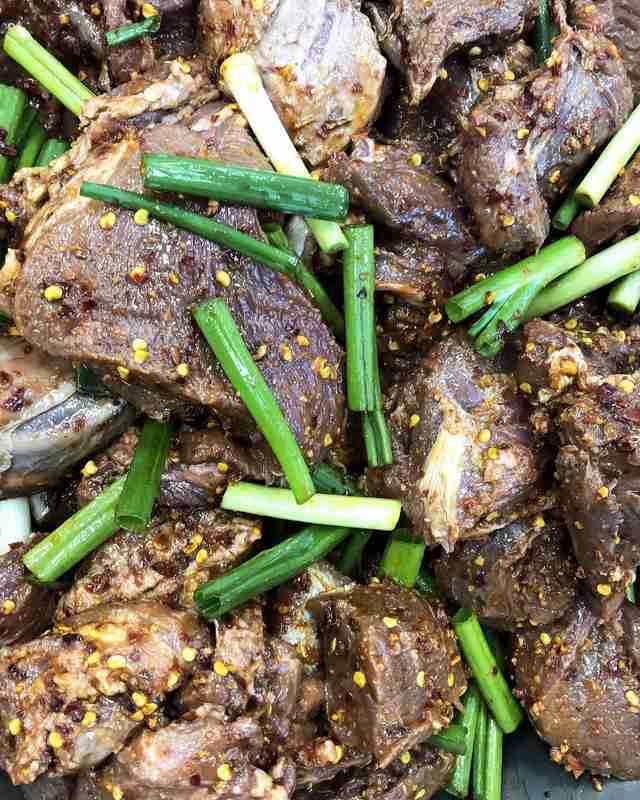 Owner Jonathan Brooks hesitated to nail down just what sort of cuisine he planned to serve at this recently opened establishment, and didn’t court much pre-opening publicity. But when your other restaurant is the nationally acclaimed Milktooth, customers will flood the place based on reputation alone. They (and you) can enjoy a regularly refreshed menu that includes (as of now) wild boar bolognese, eggplant tartare, and an intriguing peanut butter madeira milkshake. Expect lots of locally sourced ingredients and a refined, high-end experience, even though the restaurant sits in a former garage. You might want to orders some wine, because Beholder was named one of the top 100 wine restaurants of 2018 by Wine Enthusiast. Before you waste a bunch of time (and maybe get a tongue cramp) trying to pronounce the name, we’ll tell you that Txuleta is pronounced chew-lay-ta. Owners Ted Miller and Shannon Stone put this steak-and-cider house on the second floor of the building that houses one of their long-term successes, the Belgian-style mussels-and-frites purveyor Brugge Brasserie. 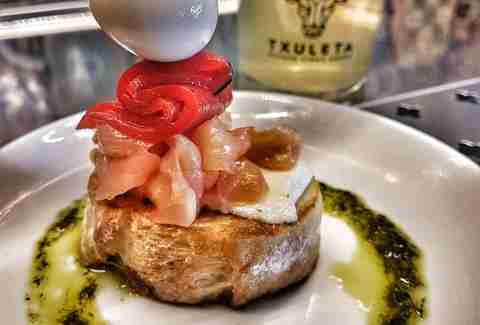 Of course there’s tapas, including pork belly and dry-cured Spanish ham. If you’ve got something more ambitious in mind, sample the salt-cod omelet, txistorra (cider-poached Basque sausage), and the burnt Basque cheesecake. And since this is a cider house, don’t leave without imbibing the eatery’s line of Indiana-sourced hard ciders. There are also (mostly Belgian-style) beers, many of which are brewed downstairs at Brugge. It’s not big and it isn’t fancy, but this Fountain Square storefront carries plenty of street cred. You can smell it (along with other savory odors) when you step into the smallish, modest space. 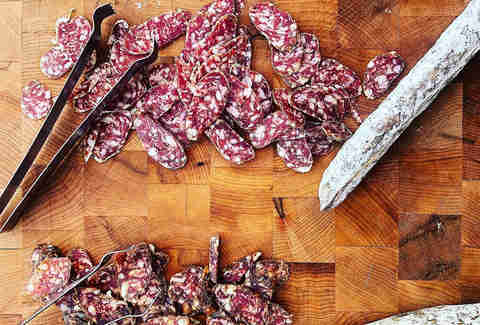 Owner George Turkette already supplies meats to top-shelf eateries such as Black Market and Ukiyo, but having his own Italian deli creates a safe space where this whole-animal butchering maestro can give full reign to his passion for creating signature salamis, sausages, deli meats, and smoked bacon. If you want a sense of what this place is all about, try the charcuterie board (a chef’s selection of three to five meats with bread, mustard, jam, and nuts). Or if you’d like to skip straight to serious protein loading, order the peerless Smash Burger, a crisp-around-the-edges circle of beef blended with bacon. Sam Stall lives in Indianapolis with his son, James. You can check out some of his other projects here.